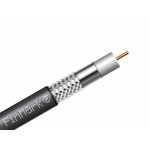 Coaxial cable FinMark, Series 59 with additional power conductors is a combination of a coaxial cable for HF signal transmitting and of two insulated copper conductors. 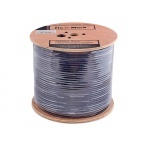 The scope of application of this cable is the CATV systems for remote power supply to the unites in which local power supply is impossible or very difficult. Also, it is used for building of video surveillance systems, for power supply directly to the camera of surveillance, to remote TV modulators, to amplifiers, etc. 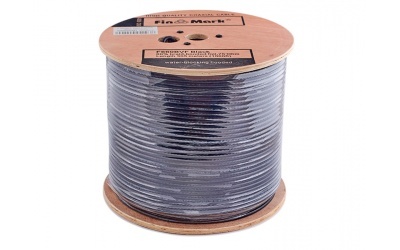 The reduced size of this cable as compared to the cable series 6 permits to use it in confined spaces. 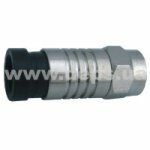 Cable F5967BV-2 * 0.75power has sectional view of «eight» with the outer sheath from PVC. On one side of «eight» its a coaxial part consisting of center conductor, the dielectric, and a shield consisting of a foil and the aluminum wire braid filling 67%. The second part of the «eight» has two copper conductors, both are coated with PVC insulation. 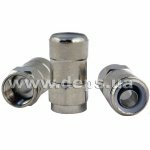 If necessary, the cable part with power conductors may be easily separated from the overall design. To identify the power conductors are colored in red and black. 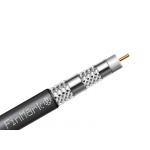 For easy cable termination, a special thread for the longitudinal opening of the sheath is provided. Outer sheath colour is black. 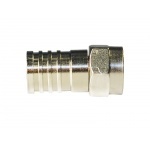 Cable connector of series 6, twist type, brass. 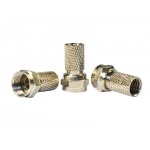 Cable connector of series 6, crimp type, brass, wrench size 0,322”. 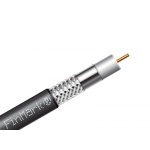 Trilink F6CL cable connectors are designed for mounting on FinMark coaxial cable series 6 (F660, F690, RG-6 and others of similar diameter). 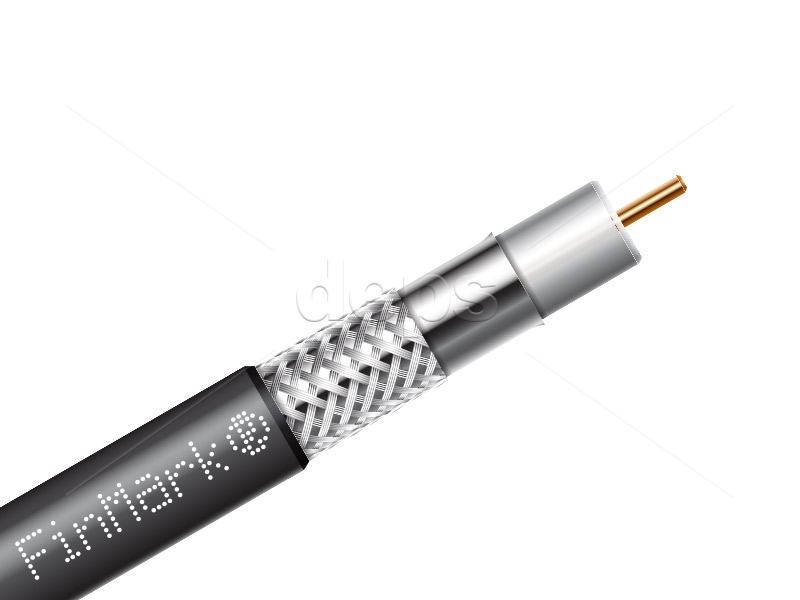 Cable connector of series 6, compression type, enhanced reliability, brass. 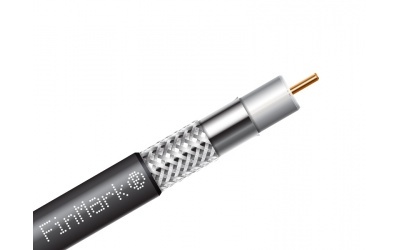 Subscriber’s coaxial cable FinMark, series 6. 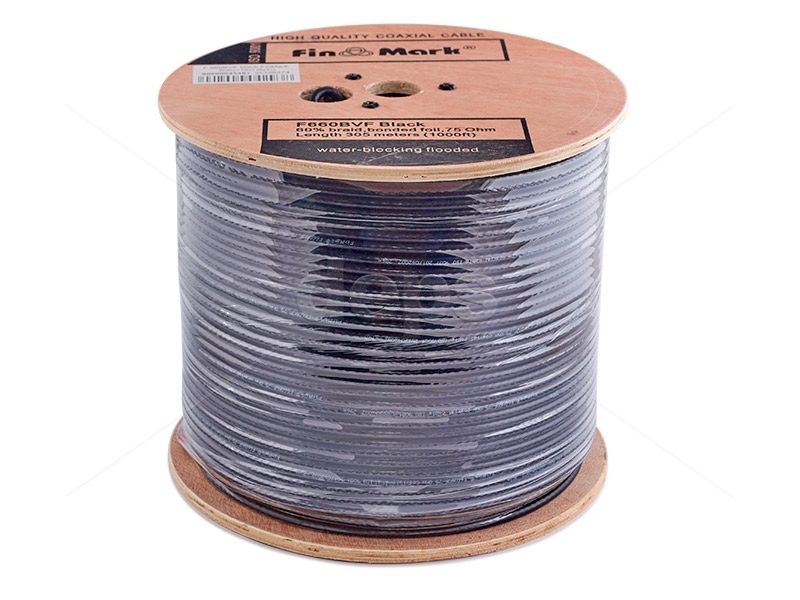 Center CCS conductor, glued foil, braid filling 60%, not glued tape, braid filling 42%, a waterproof gel, polyethylene sheath (black).